- the ability to play hangman during the installation. The collaboration with IBM was brilliant. 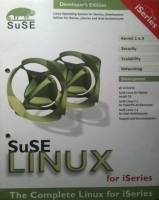 This was the first Linux distro to come out on this platform; we were fast, and a series of Enterprise distributions quickly followed in the following years. 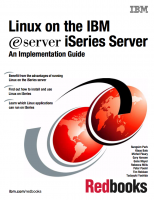 The year after (2002), I spent a while in Rochester at IBM, co-authoring a book about Linux on iSeries. Amazon link. PDF.